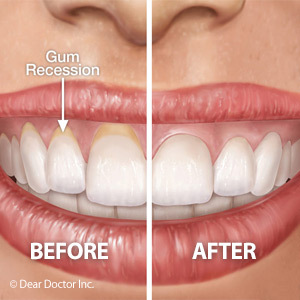 Despite progress in technology and awareness about the risks and dangers of gum disease over the last few decades, millions of Americans still live with some degree of tooth loss. The American Dental Association (ADA) estimates that over 170 million adults over age 30 are missing at least one tooth. So if you or a member of your family is living with tooth loss, know that you are not alone. There are a number of options available to help repair your smile and improve your oral health at any age. Dr. Tena Powe and Dr. Walter Peavler offer general and cosmetic dentistry services like dental implants at Central Kentucky Dental in Winchester, KY.
Implants are the only dental restoration that completely replicates the design and function of a natural tooth, from root to crown. 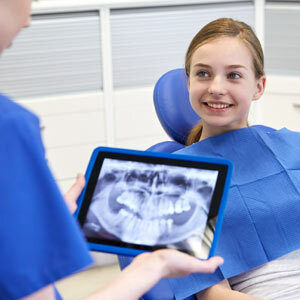 After a comprehensive dental exam to determine if you are a good candidate, a biocompatible titanium screw will be placed in the socket of the missing tooth in place of the root. Once in place, the implant will slowly begin to fuse with the surrounding bone tissue in your gums through a process known as osseointegration. Once the implant has fully healed, the cosmetic crown is attached. In order to be considered for dental implants, you must be an adult in good overall health and have enough existing bone density in your gums to support an implant. Although they have a very high success rate, you must practice good oral hygiene and follow up dental care to avoid complications. Implants can replace a single tooth, or they can also be used to secure an entire set of dentures (implant overdentures). To learn more about dental implants and other cosmetic dentistry options, contact Central Kentucky Dental by calling (859) 744-0320 to schedule an appointment with Dr. Powe or Dr. Peavler today.